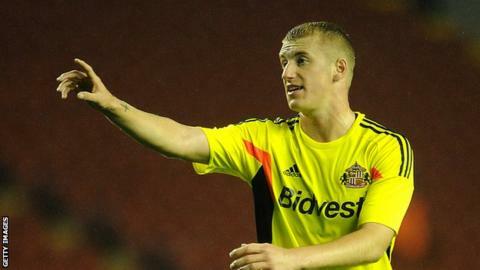 League Two side Bury have signed defender Scott Harrison on loan from Sunderland until 1 January. The 20-year-old, who came through the youth system at Darlington, is yet to make a first-team appearance for the Premier League side. However, he was an unused substitute for the Black Cats last term. Harrison will compete with fellow centre-backs Nathan Cameron, William Edjenguele and Richard Hinds for a spot in Ronnie Jepson's starting line-up.